A man who was arrested following an incident in Isabel Crescent in Hove yesterday has been charged. Police said Guy Spencer, 62, of Isabel Crescent, Hove, has been charged with attempting to cause grievous bodily harm to a police officer. He has been remanded in custody to appear at Brighton Magistrates’ Court tomorrow (Saturday June 2), police added. 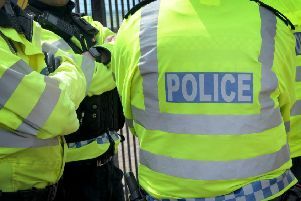 A police spokesman said: “Officers attended Isabel Crescent, Hove, shortly before 2.45pm on Thursday (May 31) after a report that a man might be harming himself at the property. “The man was alleged to have attempted to wound a police officer who first arrived at the address with two knives.